By Oramart Aurore Saardphak, Associate at LawPlus Ltd. 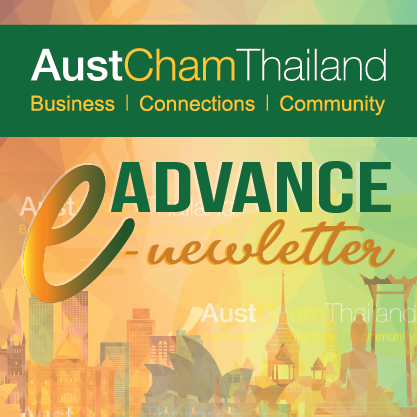 The 3 major changes to the labour protection and employment law of Thailand in 2017 and early 2018 are discussed below. Employers are invited to take note of their positive and negative implications. The latest LPA amendment is effective from 1st September 2017. The change imposes the mandatory severance pay on the employer. The employer must pay to the employee who retires at the retirement age of 60 or older. This applies if a retirement age is contractually agreed or pre-determined by the employer. If a retirement age is not contractually agreed or not pre-determined by the employer or if it is agreed or pre-determined beyond 60 years of age, the employee who turns 60 or older can give a 30-day retirement notice and the employer must pay the retirement severance pay to him. This will definitely put the employer under the pressure of having a lot of cash in hand to cover the retirement severance pays if the employer has a lot of retiring employees in any given year. Allowing an employee who hits 60 years of age to continue to work or re-hiring him after his retirement under an open-ended contract or on a fixed term contract or as an independent service provider can raise a lot of legal and contractual challenges. Advice from experts is advisable. Effective from 23rd June 2017, the ED imposes hefty criminal penalties on employers and employees who violate the ED. For example, the employer who hires a foreigner without a work permit or hires a foreigner to work on a prohibited or restricted work is subject to a fine between THB400,000 to THB800,000 per employee. A foreigner who works in Thailand without a work permit can be subject to imprisonment up to 5 years or a fine from THB2,000 to THB100,000 or both. A foreigner or works on a necessary and urgent work basis without notifying the Employment Department is subject to a fine of THB20,000 to THB100,000. While enforcement of some of these penalties was postponed to 1st January 2018 and to be further postponed to 1st July 2018, most of the penalties started to kick in since 23rd June 2017. The Cabinet approved the Smart Visa on 29th August 2017 and confirmed its implementation starting on 1st February 2018. Smart Visa is to be given to foreign experts and investors who work or invest in the 10 targeted industries (next-generation automotive, smart electronics, affluent, medical and wellness tourism, agriculture and biotechnology food for the future, robotics, aviation and logistics, biofuels and biochemical, digital and medical hub). Smart Visa consists of 4 categories: Smart-T for talents, Smart-I for investors, Smart-E for executives and Smart-S for startups. Its holder, spouse, children and dependents can reside in Thailand up to 4 years (depending on the visa category) and the holder can work in Thailand without holding a work permit.